Sometimes life gets in the way and you end up missing a movie you really wanted to see in theaters. Other times you simply loved it so much you would be able to see it all the time. That's why we're glad when our favorite movies, series and documentaries are released on DVD. 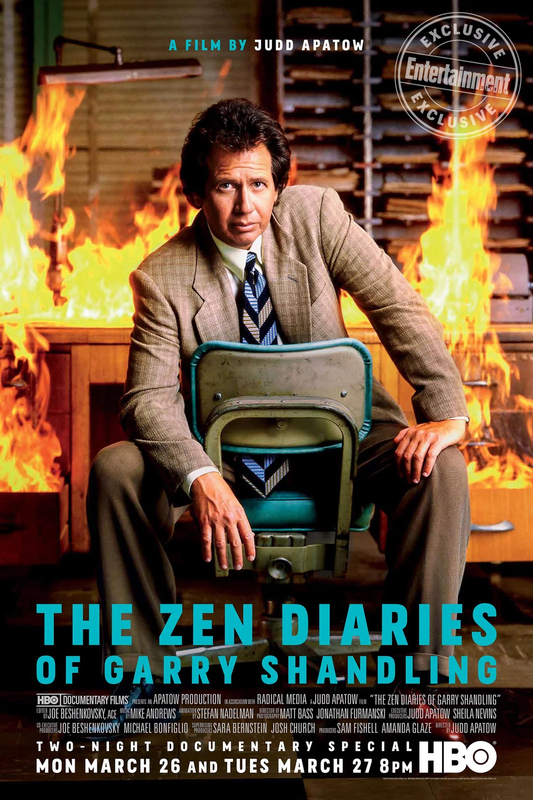 HBO Home Entertainment has decided to release the Emmy Award-winning documentary "The Zen Diaries of Garry Shandling" on DVD and in digital download format on October 30. You will get to see bonus features and no matter what format you decide to get, it "will include multiple bonus features including extended interviews with Jim Carrey and spiritual leader Ram Dass, exclusive archival stand-up performances, a previously un-aired conversation with Jeff Goldblum, never-before-seen and extended conversations with Shandling and Jerry Seinfeld, as well as a tribute performance of "Dear Mind" by Eddie Vedder (Pearl Jam) and Apatow, live from the Bonnaroo festival in 2016." "I am so excited for this release because we found so much amazing footage and we finally have the opportunity with these DVD extras to show the world even more comedic treasures from Garry's life and career." We can't wait to get our copy. -- Source: HBO Home Entertainment. Click to comment this article.